← Tidbits: Calvin Trillin Loves Oaxaca, Too! Formerly a high-tech manager who is now an artist, Bella came from Silicon Valley, California to attend the Day of the Dead Photography Expedition learn more about her camera and improve her aesthetics. “The biggest lesson for me photographically was “less is more” – having a talented photographer/teacher focus my efforts on the few features needed for my eye and my artistic goals was a gift. It gave me the space and confidence to experiment rather than getting caught in the multitude of technical choices,” she says. 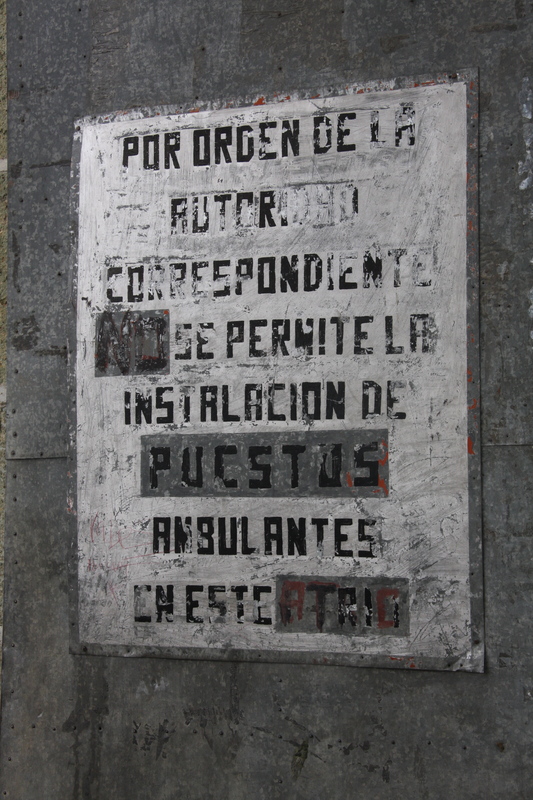 Photo 1 (left) is more about texture than message, since this poster has been up long enough to have obscured the words. In Photo 2 (right), we see the familiar. The young woman who is holding the yellow marigolds has been the focal point of others’ photos we have seen. Yet, this photo is definitely unique and interesting. Often, we pass something by and consider it mundane or don’t even notice it at all. 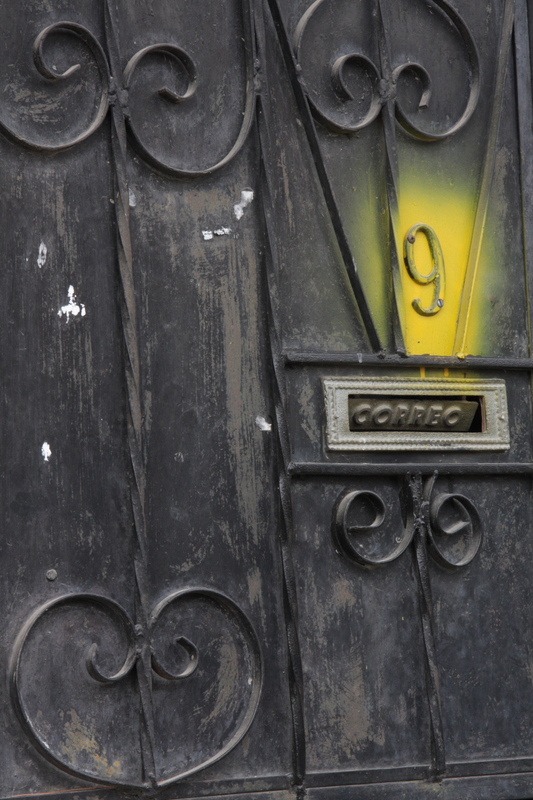 Bella saw this doorway with the yellow painted numeral, in Photo 3 (left). Good eye. In Photo 4 (right), there was a clothesline with underwear drying. Bella went right to the iconic image of Jesus with a bucket in front, as if it were a church font. “I was struck by how many of the participants said this was their first group experience. None of us had done tours – we were all individual travelers who saw something special and unique in this workshop and the focus on a beautiful culture,” says Bella. 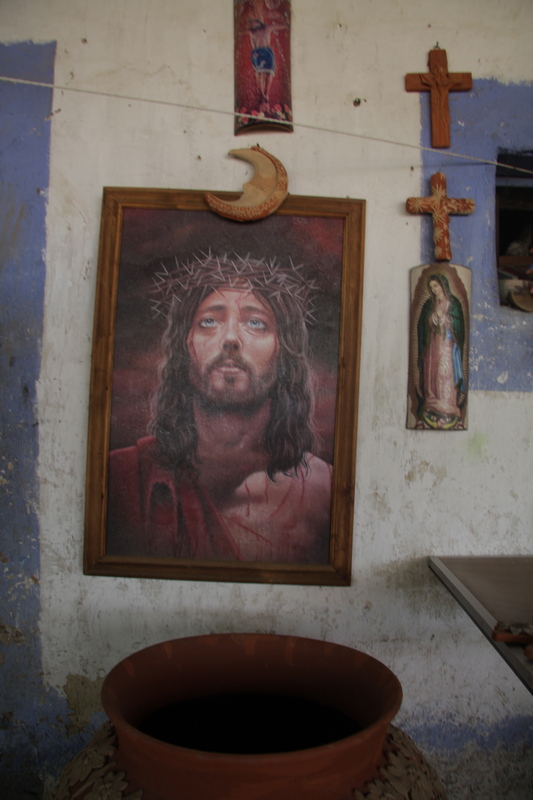 Archeology is a big part of being in Oaxaca. 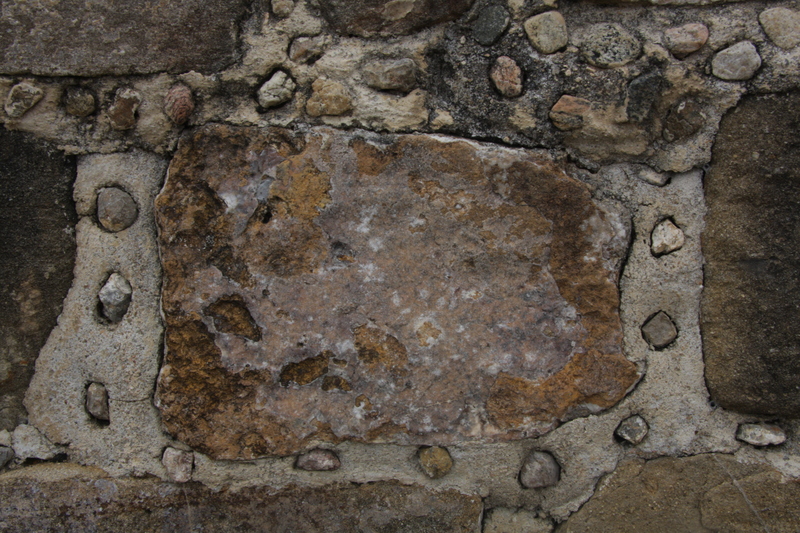 Connie Jo, a workshop participant and trained as an archeologist, explained that the small stones in the mortar at Monte Alban signify that this part has been rebuilt. Bella was fascinated and got the detail in Photo 5. “Without a doubt, I would recommend this and any of your programs. The small group size, the special-ness of the participants, the creativity, and the focus on culture and personal connections combine to make a unique adventure,” Bella says. 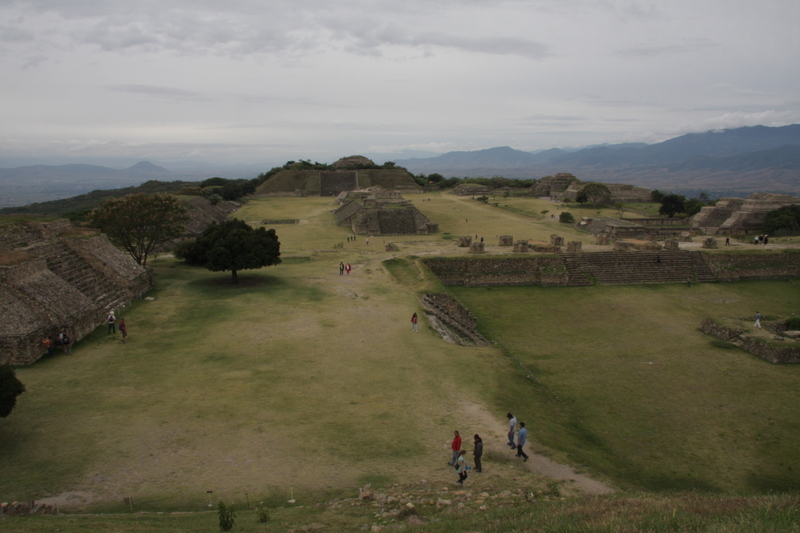 And, then in Photo 6, she got this sweeping vista of Monte Alban, almost as if it were a painting. “We were halfway through the week and I could have stopped taking photographs that minute and would have had been happy. Personal connections and experience, however fleeting, are why I travel. I never worry about changes in itinerary because I’ve learned that wonderful adventures happen when we least expect them,” Bella says. 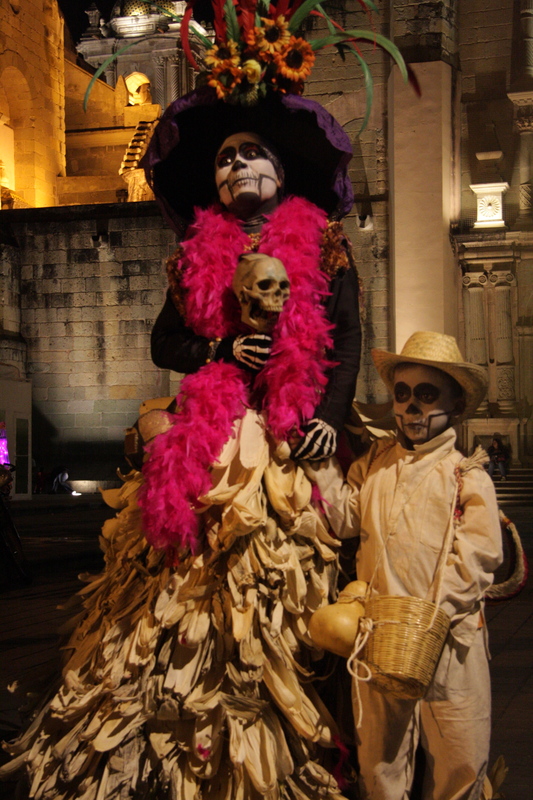 Photo 8 (left) is Bella’s portrait of the Calavera Catrina mime with her son on the Zocalo on October 30 renders the monochromatic palette with the pop of magenta. 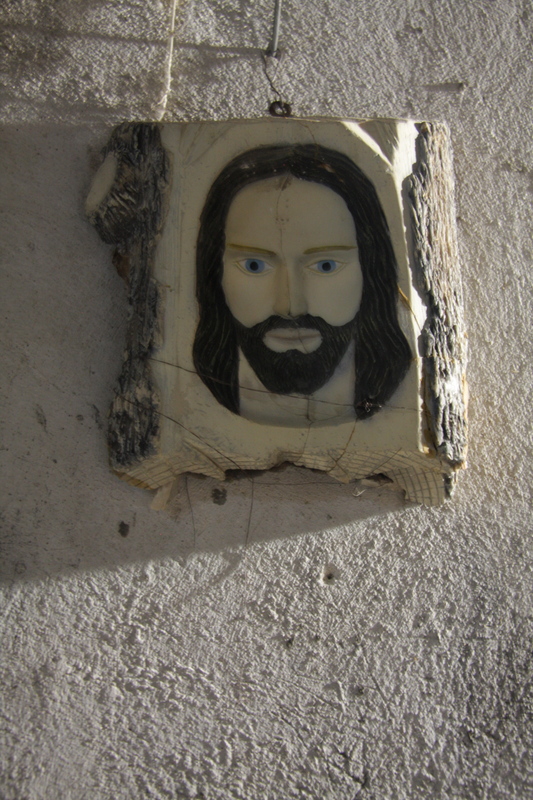 To the right in Photo 9, a wood-carved portrait of Jesus hangs on a stucco wall. 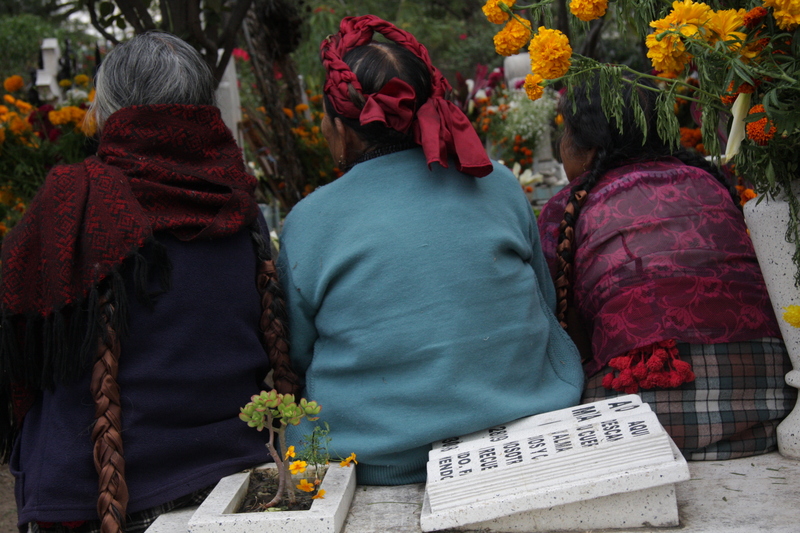 The abuelas (grandmothers) in Teotitlan del Valle shy away from the camera. In Photo 10, Bella gets the detail from behind of their long braids hanging or wrapped around their heads, interwoven with ribbon. Traditional women never cut their hair! Photo 11 (left). 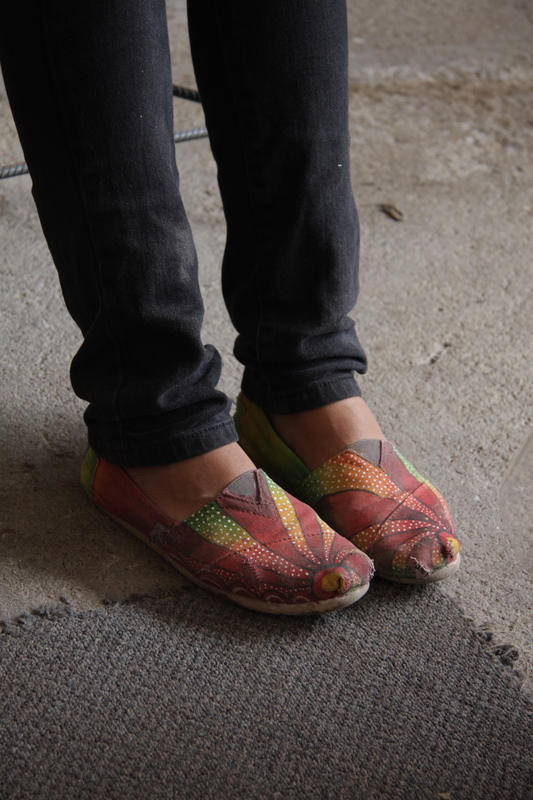 These are Luvia Lazo’s hand-painted shoes that she created herself. 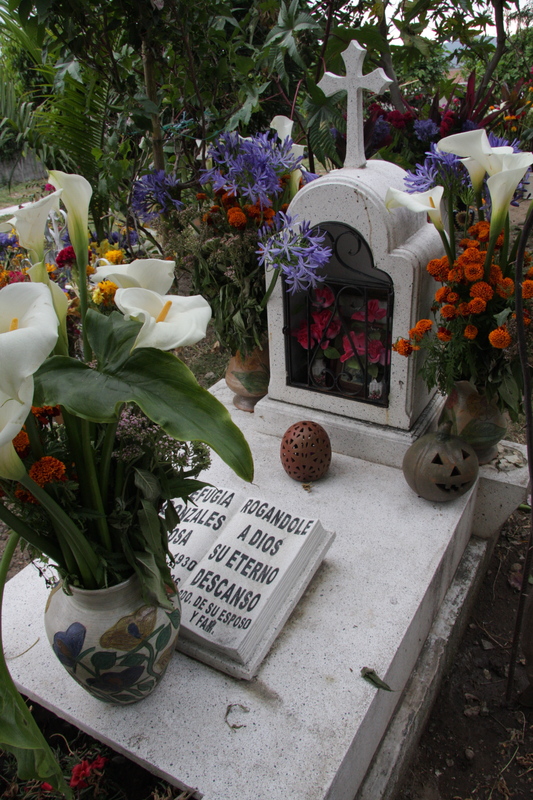 Luvia and her family hosted Bella and Erin Loughran during Teotitlan del Valle’s Day of the Dead ceremonies on All Souls’ Day. 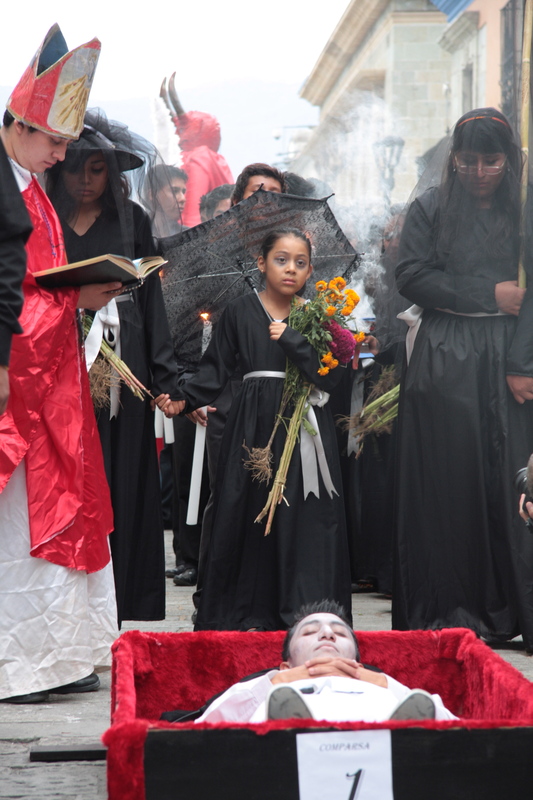 This entry was posted in Oaxaca Mexico art and culture, Photography, Travel & Tourism, Workshops and Retreats and tagged Bella Jacque, blogsherpa, day of the dead, Mexico, Oaxaca, photography. Bookmark the permalink.